Proper care for your tires. 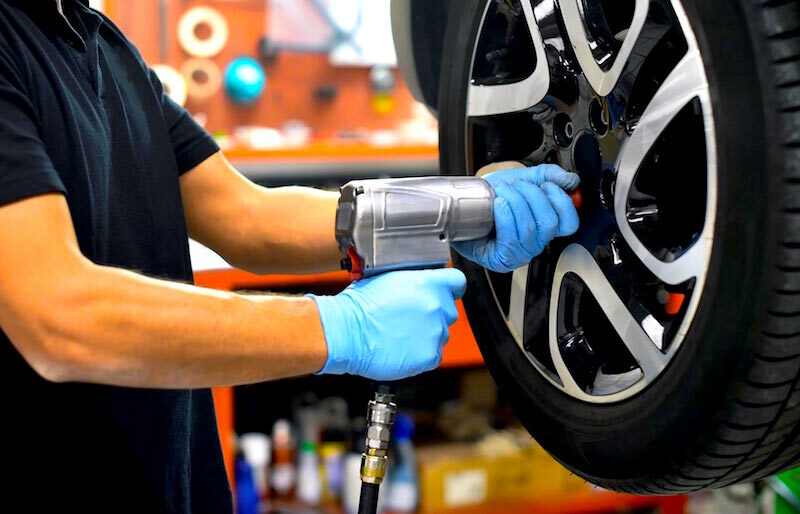 Felix Auto and Tire is your best choice for tire services in Oshkosh, WI! Our certified team of car care specialists will do whatever it takes to keep your tires in good shape! The tires on your car are the only thing standing between you and the highway, so you need to choose them carefully and then take excellent care of them. Our team will help you choose the right tires for your car from a wide selection of the highest rated tires in the industry. Your car’s tires will greatly impact your fuel efficiency and the smoothness of your ride. We can explain the effect that each type of tire will have on your car when you come in and meet with us. Whether you need a new set of mud grips or a new tire for a spare, we can order anything you want! Keeping your car’s tires rotated and balanced will extend their life and keep your car running smoothly. Consult your owner’s manual to see what the recommended schedule is for rotation, balancing, and alignment. As a general rule, you should have your tires rotated every six months, or every 8,000 miles, whichever comes first. Balancing the tires is a different situation. You can have this done at any time. Tire manufacturers recommend having tires balance about every 5,000 miles – about as often as you have your oil changed. However, any time you notice vibration while driving at normal highway speeds, we’d recommend having the tires checked and balanced, if necessary. Tire alignment only needs to be done about once a year. You can ask your Felix Auto and Tire technicians to check the alignment when you have new tires installed or when you have your current ones rotated. For your safety, Felix Auto and Tire will check your tires for uneven or excessive wear every time you bring your car to our shop. It’s one simple way we’re looking out for Oshkosh drivers!